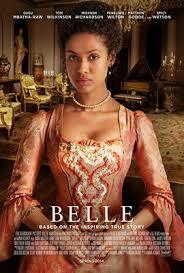 Review: This is based on a true story of Dido Elizabeth Belle. She helped shape Lord Mansfield’s role as Lord Chief Justice to end slavery in England. This is a film that actually made me cry which is very rare. There were some very moving scenes in it. I thought that the script was brilliant. If you love programmes like Downton Abbey then this will just be up your street. Fantastic cast and great performances. Penelope Wilton’s role I thought was perfect for her. This film focuses on several subject matters such as Abolition of Slavery, Gender Equality and Class (poor, rich etc). I was on the edge of my seat as to what was going to happen at the end.